Against his better judgment, Tertuliano decides to pursue his double. As he roots out the man’s identity, what begins as a whimsical story becomes a “wonderfully twisted meditation on identity and individuality” (The Boston Globe). 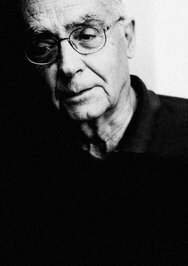 Saramago displays his remarkable talent in this haunting tale of appearance versus reality. 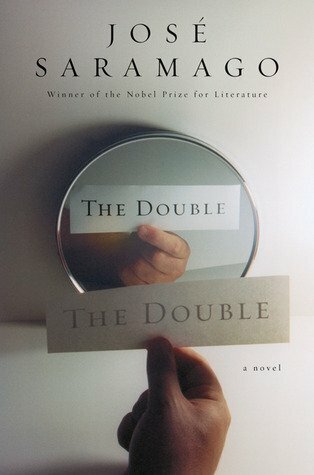 This is, a tale of double existence, a meditation on words, on numbers, on identity, on the self and existence of being. And a damn great thriller. Take note that Maria de Paz, the main protagonist’s lover, who happens to work in a bank dealing with numbers and order, will mention “Chaos is merely order waiting to be deciphered”. Also something that may have another linking theme, one that one may take second look at, is the fact that the whole knowing of the existence of this double came about the recommendation of one Maths Teacher. This history teacher works with him in a secondary school, a maths teacher, another one that deals with some kind of order and numbers, recommended him to watch the movie that his double appears in. Ideology signals but are they pertinent? The world in this tale seems to point to the case of free will, in all the order of numbers and words, chaos of probability, the author immerses you in identities changing at the choice of the self. The common sense of the main protagonist, Tertuliano Maximo Alfonso, has its own voice appearing in the narrative as a separate character of the main protagonist talking to him and helping him in making his next move. I could compare the tale to like that of a chess game. As in a chess game, this tale slowly has moves made to a position of checkmate, one eventually learning what move was to be made next and what had to be done to achieve that checkmate, when probability occurred and made its move howsoever ludicrous and darkly humorous it appeared in forms to him, eventually, he knew from history, of how to achieve check mate. There are many things left for after thought. I watched the movie adaptation after reading this novel the first time, then for the review, I read it a second time, one question that may be further thought over is that of a hypothesis, do products of the mind have a certain capacity of taking a material form in this tale? If his flowing writing style, his easy reading narrative, the dilemma and thrill of what will happen next, for instance when the doubles meet, doesn’t have great reading glue and have you in the tale, then his play with identity, number, words, nouns, ideology, conscious, and chaos with order and its deciphering, may do, or simply the words he lays out with careful creative genius does not have you, even the love element that exists fails, then I don’t know what will. A great tale to read many times over from one superb craftsman with words. “We all know that each day that dawns is the first for some and will be the last for others, and that for most people it will be just another day.